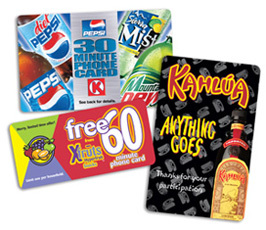 Phone Cards are one of the most versatile and powerful marketing tools. Customers value phone cards, and in turn, keep them in their wallets, creating continual reminders of your products and services. Your company's personalized message can also be included in the voice prompt of the phone card.